As with any classic Mercedes-Benz sedan interior, the 2018 Mercedes-Benz E-Class interior was built for your comfort and convenience during your day trips around Alpharetta. Its genuine wood and leather materials and power adjustable seating combined with a COMAND® Multimedia System makes for a great luxury vehicle. Starting with a leather steering wheel with genuine wood trim and optional cooling seats up front, the E-Class brings comfort to the forefront. Alpharetta drivers can also enjoy features like LED ambient lighting and a standard Panoramic Sunroof for natural lighting and fresh air on a beautiful day. All E-Class models offer dual-zone Automatic Climate Control along with premium synthetic leather upholstery and Driver Multi-Adjustable Power Seats with front power memory. The rear bench splits 40/20/40 so that you can optimize your space for cargo and passengers, and a navigation system keeps you on the right path. There are various interior levels from which you can choose: a five-passenger midsize luxury sedan, a seven-passenger wagon, and a four-passenger coupe or a convertible option. Standard on the E-Class interior is the COMAND® Multimedia System with integrated mbrace® connect technology on the 12.3-inch Display to access your favorite music, apps, and safety features when you need them. The Premium 1 package guarantees a wireless phone charger and the push-to-start KEYLESS GO® system, along with heated front seats. The Premium 2 package offers front seats with massage functionality, as well as a Air Balanced cabin purification and fragrance system. The Premium 3 package delivers a Head-Up Display, Burmester Premium Surround Sound system, and Inductive wireless charging with NFC pairing. 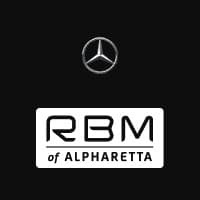 The 2018 Mercedes-Benz E-Class interior is a unique, modern take on a classic Mercedes-Benz with plenty of customizable options available to you when you shop the inventory at RBM of Alpharetta right off of McFarland Parkway. Our Alpharetta dealership team can guide you through your options, show you comparisons between models like the E-Class and Audi A6 or E-Class vs. BMW 5 Series, take you out on a test drive, and inform you on our financing process. To field any questions about the E-Class, please contact our team at your convenience.